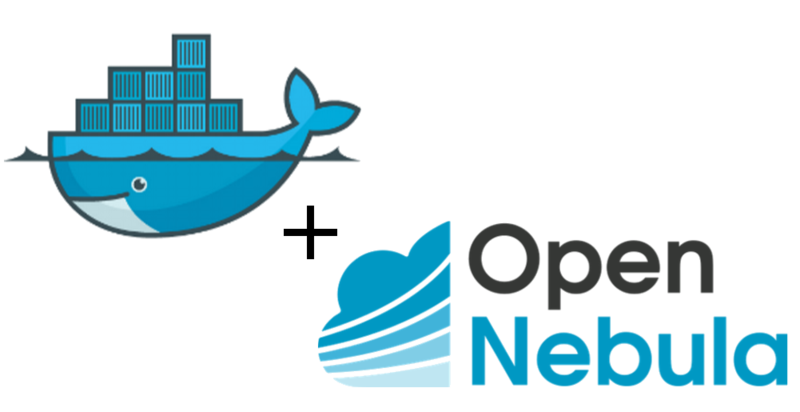 Here at OpenNebula we value Docker a lot, and we believe it’s a wonderful tool for developers, so we want to provide OpenNebula users with the best possible experience when using Docker within OpenNebula. We have a long Docker-related roadmap ahead of us yet, but we are very satisfied with our first PoC. We have succesfully created a new OpenNebula driver for Docker Machine. 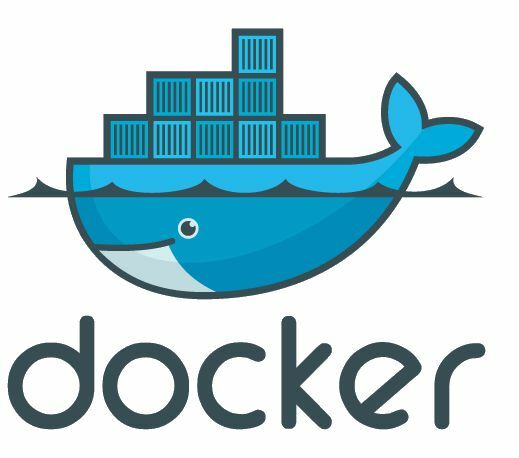 Docker Machine lets you create Docker hosts on your computer, on cloud providers, and inside your own data center. 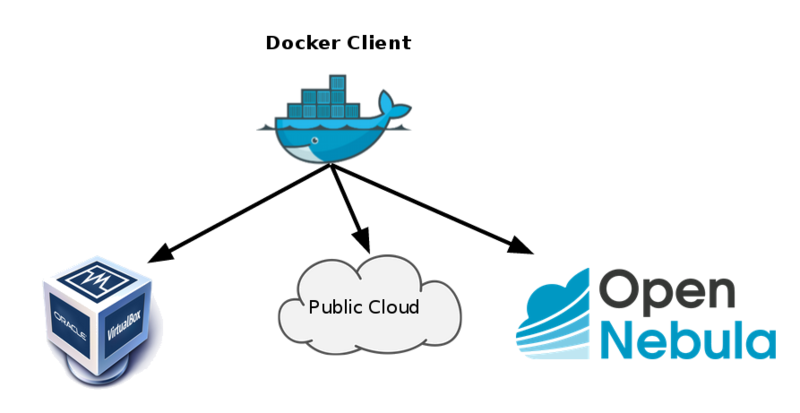 It automatically creates hosts, installs Docker on them, then configures the docker client to talk to them. A “machine” is the combination of a Docker host and a configured client. This allows you to experience the best of both worlds, by using Docker with OpenNebula developers will Docker transparently, but OpenNebula admins will control where these VMs are executed. And you will have your binary in the bin directory. We are working very hard to include this new driver upstream, so you can use OpenNebula with the official Docker Machine distribution. However, this is just the tip of the iceberg! our next step is to build flows for OpenNebula OneFlow for the on-demand elastic execution of a Docker cluster management system, use OneFlow to orchestrate images which contain Docker and the cluster manager. We intend to integrate OneFlow both with Docker Swarm and Google Kubernetes. And finally all of this will happen in parallel while adding support to LXC drivers for OpenNebula. We will keep you posted with our progress! We are happy to announce a final agenda for the CentOS Dojo Barcelona 2015. We have an exciting list of speakers we’re sure you won’t want to miss! SELinux is your friend, not your enemy! In this talk we’ll see how you can manage SELinux with your cfgmgmgt solution. (We’ll cover both Ansible and Puppet.) We’ll see how to modify contexts/booleans but also build and distribute custom SELinux policies on your managed nodes. Building Docker images is easy, that’s why there are over 45,000 public images on Docker Hub today albeit only 100 ‘official’ images. Creating reproducible, secure images from source that are easily maintained and updated takes a bit more planning and automation. In this session, you’ll learn what it takes to create a successful (and secure) build strategy. Foreman is a GPL-licensed lifecycle infrastructure management tool that takes care of provisioning, configuring and monitoring your hosts. It started simple, but now it has a very active community and a plugin ecosystem that allows you to handle multiple configuration management systems, remote execution, rpms content management and more. In this talk Daniel Lobato will show you how Foreman can help you automate your data center operations, and how to introduce it in your company. Javier has been a key contributor to the opennebula effort for many years and has more recently helped as a founding member to bootstrap the CentOS Cloud Infra Special Interest Group. As a part of this effort, he’s been helping OpenNebula content and code be easily available to all CentOS Linux users. During this session he will give us some tips on how to automate the customization of VM images for your needs. Also some methods on how to optimize your images will be discussed. Roger has been a part of the Xen development team for many years and works on the upstream open source team at Citrix. In this session he will run through what it takes to get started with virtualisation on CentOS. Register now in the Eventbrite page! We want to let you know that OpenNebula Systems has just announced the availability of vOneCloud version 1.8. Import VMs from public clouds. vOneCloud 1.8 introduces the management of VMs not launched by vOneCloud in either Amazon EC2, Microsoft Azure and IBM SoftLayer. Keep VM disks after deletion. A new attribute will instruct vOneCloud on leaving or deleting the VM disks when they finish their lifecycle. Pagination added to vCenter import dialog. In large scale deployments, this will aid in the importation of large numbers of VM Templates and Networks. Support for VMware Guest Customization. At the time of creating or modifying an imported VM Template, it is now possible to associate a Guest Customization profile to configure guest OS parameters such as the computer name, network settings, setting and expiring the administrator/root password, SID change for Windows Operating systems, and so on. Show all the IPs from a VM in Sunstone. Both for imported and newly created VMs, all the IP addresses reported by the guest OS via the VMware tools are retrieved by vOneCloud and presented in Sunstone. Append name to “one-*” name in vCenter display name. VM Name as shown in vOneCloud is appended in vCenter VM name for easier VM tracking. Imported resources suffixed with their source cluster name. This feature aids in the resource identification in the vCenter portal by mapping it to the vOneCloud representation name. Multi cluster VM Template definition. Create vOneCloud VM Templates that reference more than one vCenter VM Template in different vCenter clusters. Enable SSH. To easily allow console access to the vOneCloud appliance. Enable SSL. To enable the secure access to the vOneCloud appliance web interface (Sunstone) using the SSL protocol. Moreover, a new documentation category starts with vOneCloud 1.8 to explain advanced customizations to the appliance that are not performed through the Control Panel. The fist introduced advance customization refers to rebranding, to replace the logos in the Sunstone interface. OpenNebula Systems will run a booth at VMworld 2015 Europe in Barcelona on October 12-15 where they will demo the new version. We would like to remind you that the third OpenNebulaConf is around the corner. If you haven’t already, register and meet us in Barcelona! We have left summer behind, and are fastly approaching winter. The team has released the final stable version of OpenNebula 4.14 ‘Great A’Tuin’. Like leaves in fall, numerous features landed in this new release. You can check the exhaustive list of changes in the development portal. 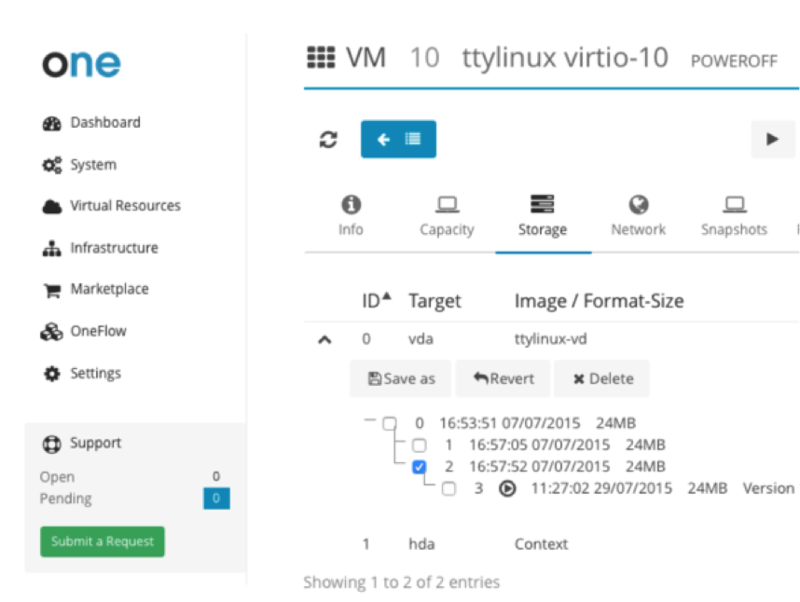 The new ability to import VMs is worth highlighting from any supported hypervisors, including the hybrid ones. Have you got any Amazon VMs running and want to manage them through Sunstone? No problem! you can have OpenNebula aware of them in a breeze through the import dialog. We have prepared a screencast showing this feature, check it out, you won’t be disappointed! 4.14 includes the ability to manage disk snapshots. You can attach a disk to a VM, create a snapshot, detach it and attach it to a new VM, and revert to a previous state. This is useful to a variety of scenarios, for instance, before a system upgrade. If unsure how the management is offered through Sunstone, take a couple of minutes to check this video. GPU support is now available to give raw access through PCI passthrough to specially calculation hungry VMs, like those found in HPC environments. There is no overcommitment possible nor sharing of GPU devices among different Virtual Machines, so a new type of consumable has been defined in OpenNebula and taken into account by the scheduler. Great A’Tuin comes packed with features. And when we say packed, we really mean it! image resizing on boot time, ability to save VMs into VM Templates for later use, better state management of VMs, flexible context definition of network attributes, the possibility to cold attach disks and network interfaces to powered off machines (which complement the hot attach functionality), improvements in accounting to keep track of disk usage, better logging in several areas,… and many more. We want to thank our community for the excellent feedback on this important release, packed with features. It is of the utmost importance to fine tune OpenNebula, so thanks! now is time to upgrade your OpenNebula instance, and provide feedback in case you find any bug, to help us deliver a quality maintenance release, 4.14.1. Several organizations have sponsored the project through the Fund a Feature Program: disk snapshots with Ceph backend was funded by Unity, Qcow2 snapshots implementation was funded by BIT.nl, GPU devices support was funded by SURFsara and flexible network attributes definition in contextualization was funded by Université Catholique de Louvain. The team is also working on a new version of vOneCloud, based on 4.14 and with extra features for vCenter management. It will bring significant advances in guest customization options. Stay tuned! September is a good month for our engaged community, with lots of different contributions that give value to the project. Contributions that widens the OpenNebula ecosystem are always welcome, and show the good health of the OpenNebula open source project. For instance, the Saturn OpenNebula driver that enables OpenNebula to use Saturn -a scalable iSCSI block storage- as the storage backend for a persistent block device datastore. Moreover, a project for integrating OpenNebula and Kerberos are also very good news. This will help securing OpenNebula deployments with the network authentication protocol, the team will evaluate this integration for its inclusion in future releases. Besides technology contributions, it is also rad to see OpenNebula power users and their awesome deployments. Like this one we recently learned about: a new HPC cloud cluster, aimed at unravelling the mysteries of the Oort Cloud, powered by your favourite Cloud Management Platform. Cool, isn’t it? The project also runs on messages like this one. Very happy to make possible important HPC infrastructures for our users. Keep it up! Little hacks on how to make OpenNebula resemble your ideal system are also very well received, like this mini howto on how to change the Sunstone login page background by CESGA. Way to go! We hope you are as comfortable using OpenNebula as we are developing it. Our partners also make important contributions to the project, like this tweet by Microsoft Azure advertising the OpenNebula 4.12 Sandbox present in the Azure marketplace, lowering the barrier in case you want to try out OpenNebula features and also its powerful hybrid drivers. The upcoming third edition of the OpenNebulaConf will be held in Barcelona this October 2015. The Conference is a great opportunity to meetup and share your OpenNebula experiences with the community. We would like to take this opportunity to also thank our Platinum Sponsors PTisp and StorPool; Gold Sponsors ungleich, Xen Server and NodeWeaver; and Silver Sponsors Runtastic and No Limit Network. Your company may be interested in the sponsorship opportunities for OpenNebulaConf 2015, but make it quick, time is running out!. If your company is interested, you can apply with this form. Moreover, the OpenNebula Conf has been included in the “Top 47 SysAdmin Events and Conferences in 2015 and 2016” by ProfitBricks. If you are willing to attend, there is still time to purchase a ticket. The OpenNebula Conf will be co-located with an edition of the CentOS Dojo Barcelona 2015. The event will take place from 13:30 to 18:30, Tuesday October 20th, in the Hotel Barceló Sants, same place as the OpenNebula Conf will. An OpenNebula Workshop, delivered by our friends at ungleich, will happen next 8th of November. If you live in Switzerland, or happen to be around, make sure you do not miss it! The third OpenNebula Conference is set to bring together top experts in designing, building and managing open clouds. The OpenNebula Conference is the place to share knowledge and practical insight and to learn about how advances in cloud technology are helping IT managers and executives tackle their computational and business challenges. OpenNebula is completely vendor-neutral and without hype, with a strong focus on real-life needs, developing the best technology, and serving users. There is only one completely free, fully open source, OpenNebula software. OpenNebula Conferences serve as a meeting point of cloud users, developers, administrators, integrators and researchers, featuring talks with experiences and use cases. The educational content will be delivered through 2 keynotes, 32 regular talks, and community sessions with lightning talks that provide an opportunity to discuss burning ideas and meet face to face to discuss development. Unlike previous editions, OpenNebulaConf 2015 will have a single track to keep all the audience focused and interested. The event also features a pre-conference afternoon with a hands-on tutorial, a hacking session and a CentOS Dojo.